Google penalizes Overstock, online merchandise retailer giant for 'unethical' search optimizations. When websites don't abide by the rules set by Google, they are considered against Google's terms. Overstock, artificially boosted it's search engine results urging college students and other groups to link back to it's pages so that they could receive discount on Overstock's shopping site. 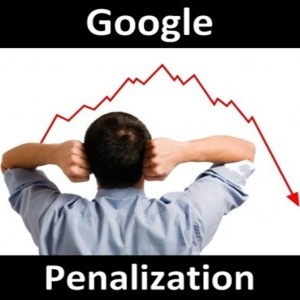 And today Google has updated it's algorithm to punish content farming sites. These sites publish useless informations in order to get higher search ranking. Sites like eHow whose contents are not usually that helpful are one example. Google is focusing on 'genuine search phrases' should pull genuine links with genuine content. So, days of intentional link exchanges, Blackhat SEO or any other 'unethical' (against the Google's term) ways to boost one's search engine rankings seem numbered. Yup, I got punished as well.